I know, I’ve been a bad blogger, but I’ve also been in Indiana, where the slow internet connection makes blogging an exercise in futility. But I’m back! I made these easy rolls as an alternative to traditional buttermilk biscuits. 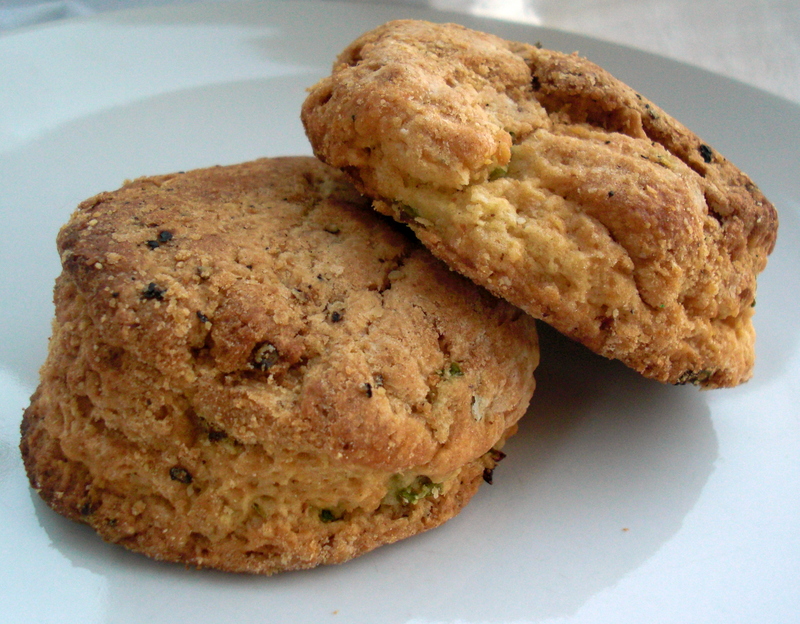 Buttermilk, yes, but with the kick of green onion, black pepper, and the texture of cornmeal. They look dry, but are surprisingly moist.